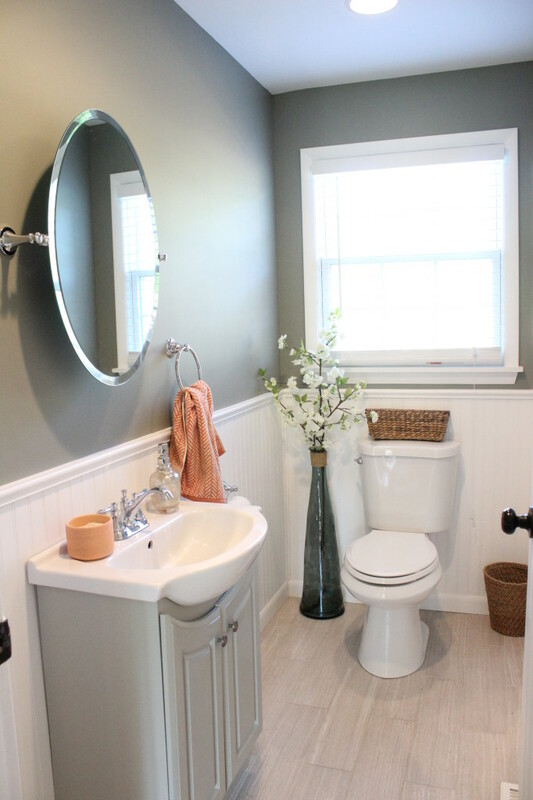 Finishing off the four rooms of our new addition has been slowly coming along, and I can finally call the powder room part of it complete! 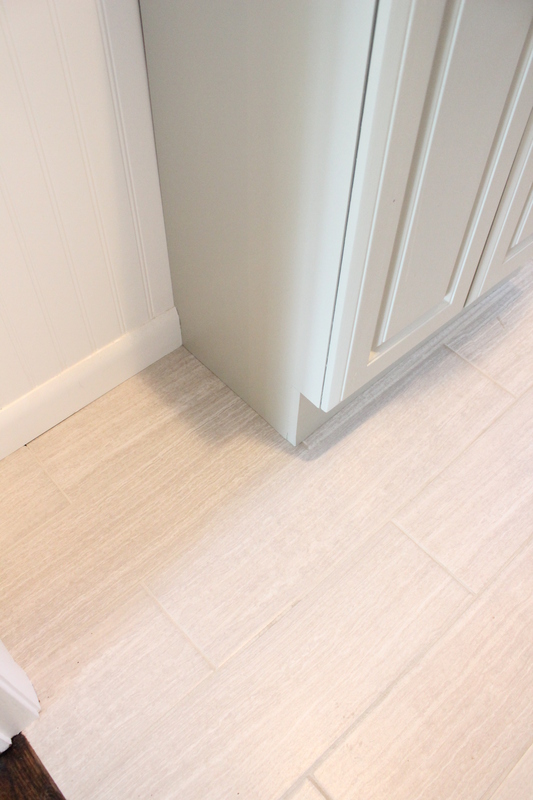 Starting at the bottom, we used a ceramic tile from Lowes called Leonia Silver. It was very reasonable at $2.50/square foot. 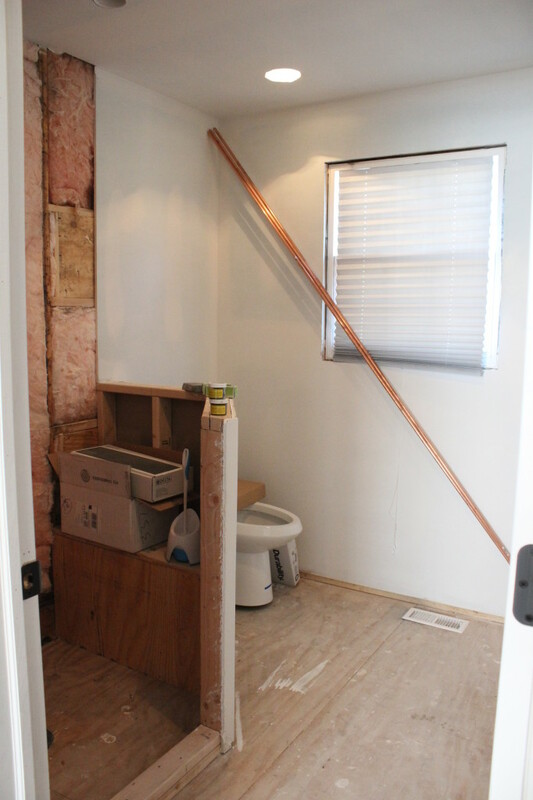 We had a hard time finding a vanity since the room is so narrow at only four feet wide. 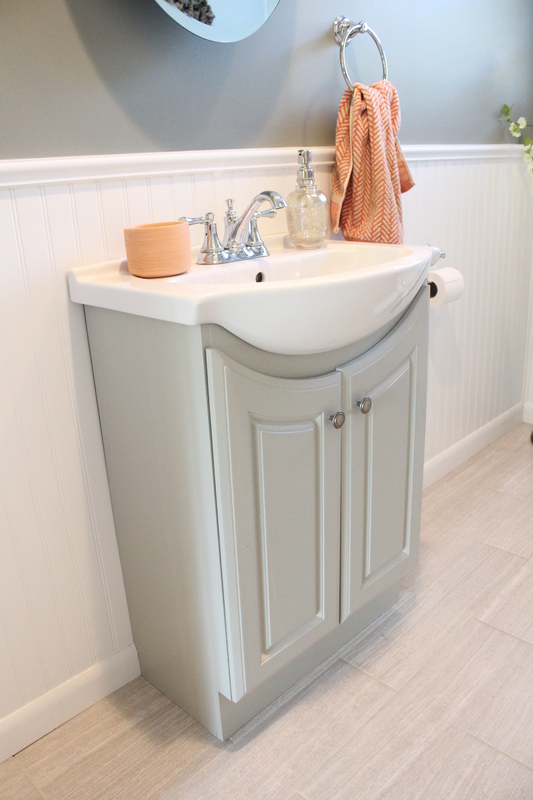 We found a small black one at Menards that I gave a makeover with new knobs and a coat of Benjamin Moore Fieldstone paint. The candle, hand towel and mercury glass soap dispenser are all from Target. 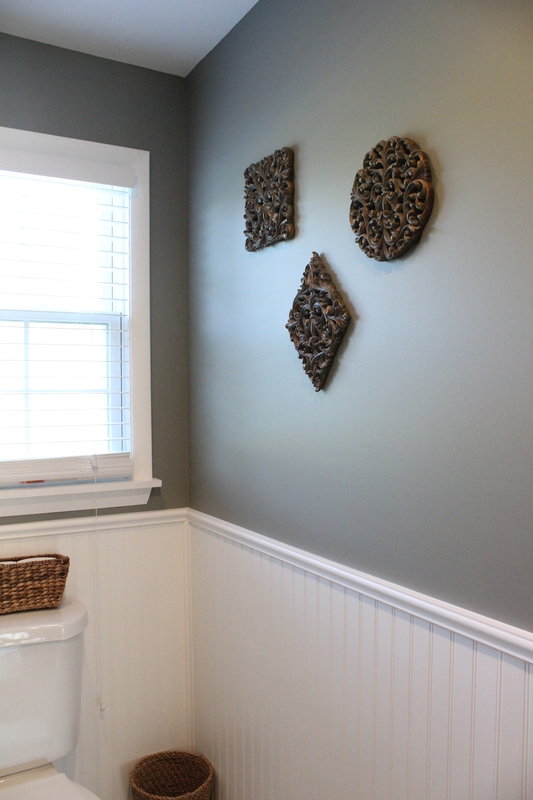 On the walls, you can see we did white beadboard on the bottom and the top half is Arctic Shadows by Benjamin Moore. 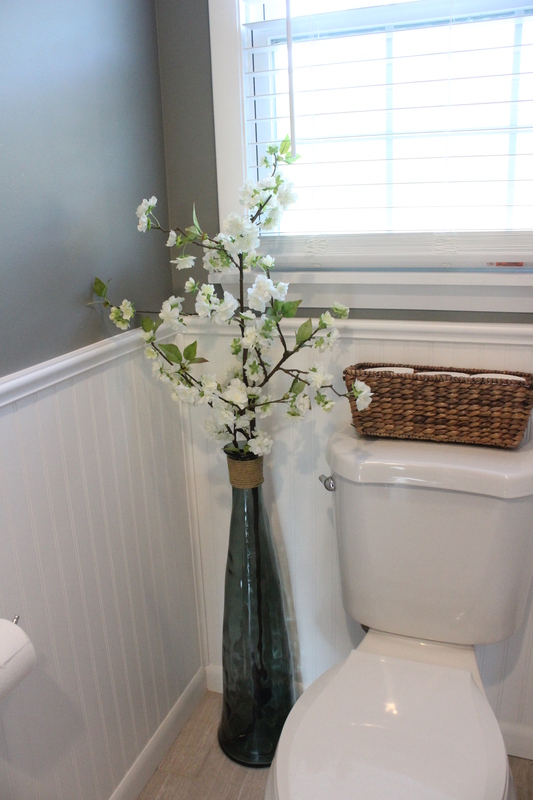 In such a small space, I didn’t have to much decorating to do, but I placed a large glass vase that we already had from Home Goods in the corner and purchased some tall, faux flowers from Pottery Barn. On the wall opposite the vanity I added some art from Garden Ridge that used to live in the bathroom at our old house. We used the same flooring as the power room in here (but ran it the opposite direction) and painted the walls Sea Salt by Sherwin Williams. The washer and dryer are new to us that we actually got used for $100/pair! This is the first time we’ve had front loaders and so far, so good. 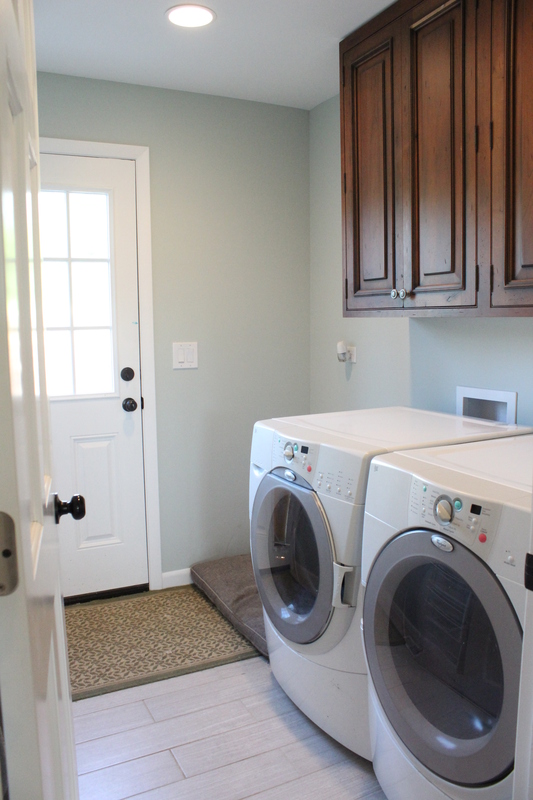 We hung a cabinet over the washer/dryer that Ben had left over from one of his jobsites. I will probably end up painting it. 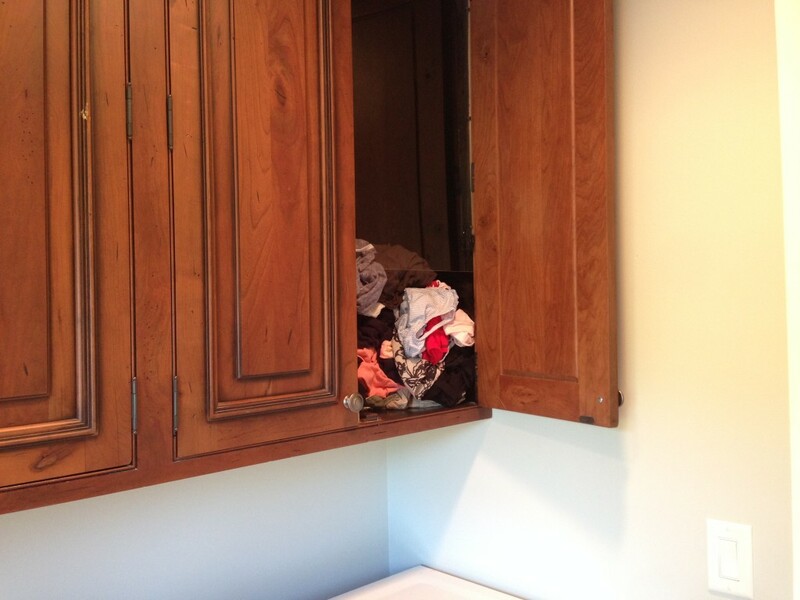 Inside the cabinet Ben built a laundry chute that starts up in our future master bedroom closet. You can hardly see it in the photo but we made the front of the chute out of clear plexiglass so you can see what’s in there. 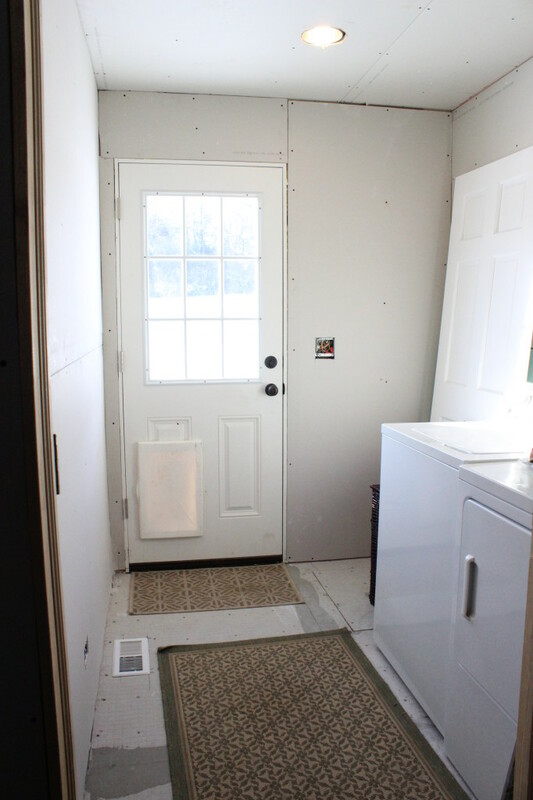 We plan to add a countertop (maybe butcher block?) and some shelving in here. There has been much less progress on the addition rooms upstairs, but that isn’t a huge priority for us right now. Our main focus while the weather is nice is outside. 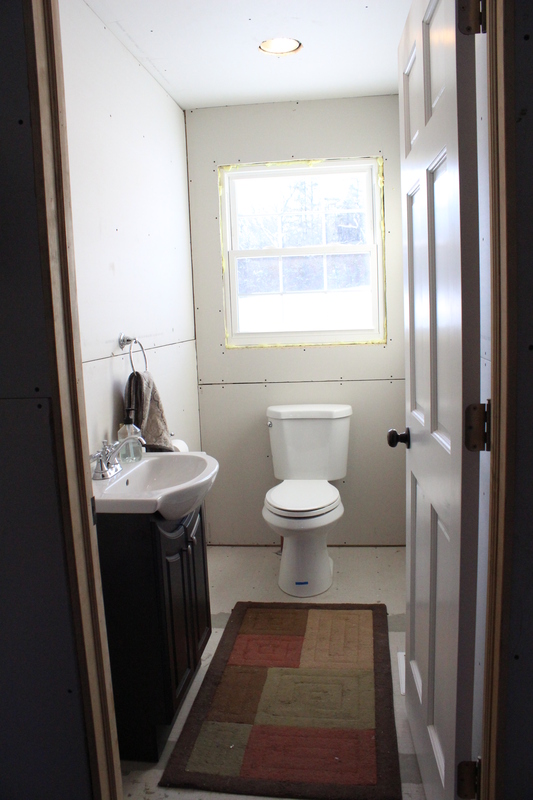 So here is the future master bathroom right now, which has drywall, framing, plumbing and electrical. 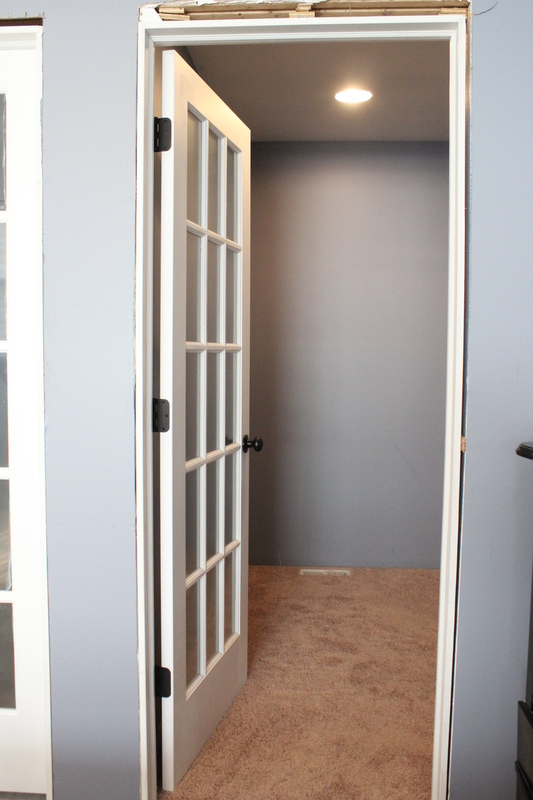 And next to that is the master closet which is painted and carpeted. 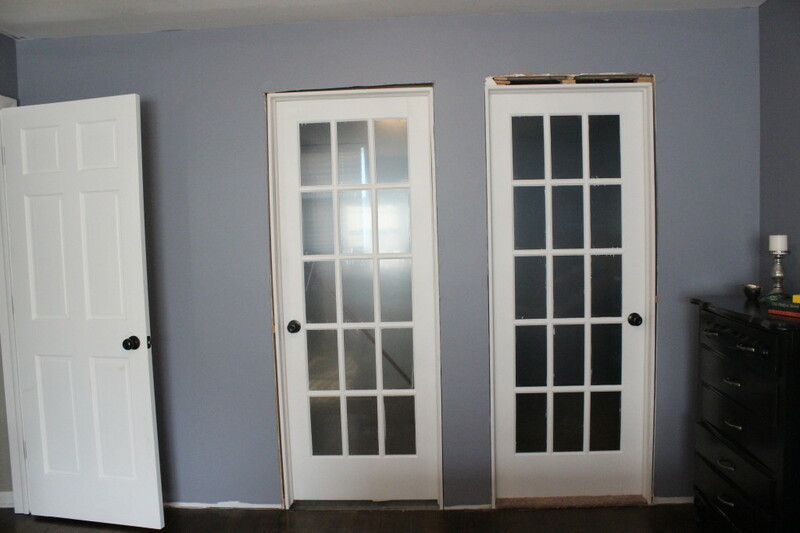 They aren’t finished yet but we hung french doors to these two rooms which we plan to frost. We plan to focus on these rooms after the summer and then move into our new master by the end of the year. Next up on the blog… chickens! Yep, we had our chickens arrive in the mail yesterday and we built a beautiful coop for them to live in.